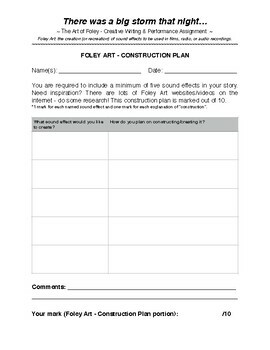 In this fun creative project, students write a short Readers Theatre script which includes a minimum of five Foley Art sound effects. 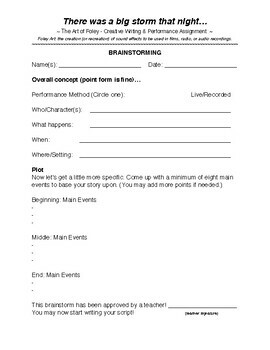 Each story begins with "There was a big storm that night..."
This project could be completed independently or in groups. 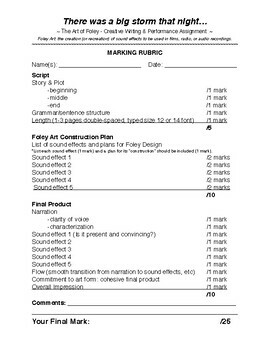 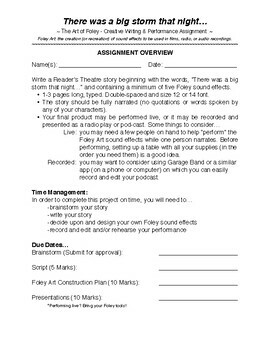 Depending on the length of your class, this project should take approximately 7-10 classes to complete (performance dates not included in this estimation - that depends on the number of groups/students in your class).